Moves and counter moves. The Hunger Games series follows the birth of a rebellion that takes on the Capitol's overbearing power. As we read about Katniss's journey from protecting her sister to embodying the hope of those long oppressed, political themes surface again and again. What does it mean to be a responsible political figure when living in a prison state? Who is the most effective political leader in the rebels' midst? 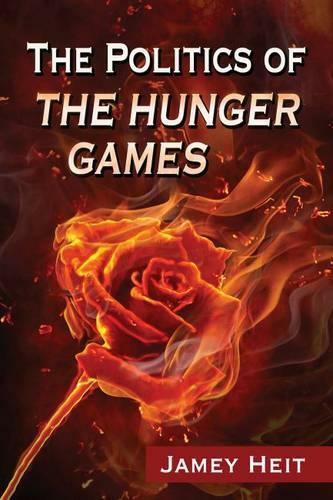 This book explores these questions and others as it examines the ways that The Hunger Games series mirrors some of America's political questions. Is President Coin any less problematic than President Snow when it comes to upholding political ideals? Can a culture begin based on an assassination? Political Themes in The Hunger Games Series explores these and other questions as it examines several of the political themes that impact Katniss's journey from volunteer to the symbol of the rebellion. Throughout the analysis in this book parallels to our own politics force us to challenge our own political mindset.